The passing of prisoner-rights advocate Rubin “Hurricane” Carter should be a clarion call to champion prisoner’s rights. For a man who spent nearly four decades of his seventy-six years under the restrictive eye of the US correctional system, few have ever touched as many lives as Rubin “Hurricane” Carter. The world-class boxer turned wrongfully accused prisoner, turned advocate for the rights of the unjustly incarcerated, has succumbed to cancer, but his memory and work will endure as long as there are people outside and inside the prisons of the world fighting for justice. It is difficult to think of more than a handful of prisoners in history who have had their story memorialized in popular culture quite like Rubin Carter. 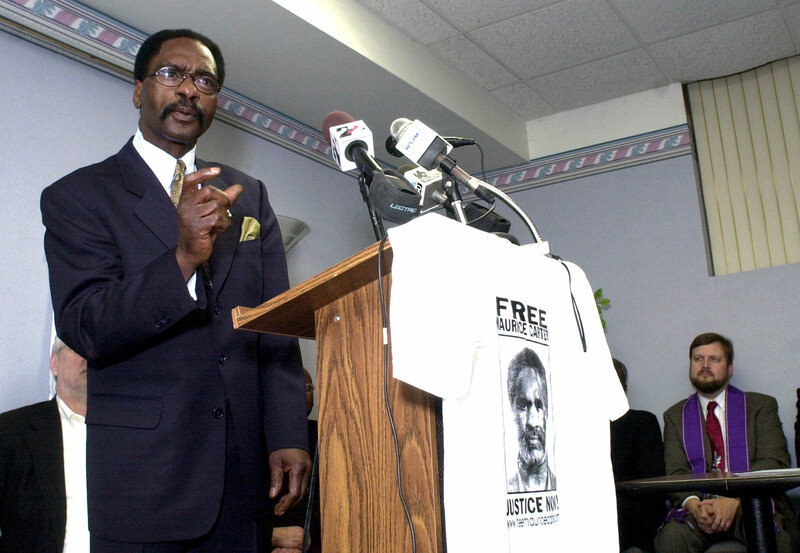 After his own infamous homicide conviction, Carter’s case inspired an international human rights movement. There were rallies, marches and all-star musical concerts in his name. He was even the subject of a Bob Dylan Top 40 hit, the frenzied fiddle anthem Hurricane. Carter also wrote, while behind bars, the bestselling book The Sixteenth Round: From Number 1 Contender to Number 45472. Finally after his release, he was the subject of the Oscar-nominated Denzel Washington film The Hurricane. Yet despite the overturning of his murder conviction as well as a Hollywood canonization, Rubin Carter never rested. After decades behind bars, no one would have blinked if he had coasted on his celebrity for the remainder of his days. Instead, Mr. Carter started a nonprofit organization in his adopted home of Toronto in 2004 called Innocence International, aimed at shedding light on the cases of the wrongly convicted. Rubin Carter believed that the only thing exceptional about his conviction was the fact that people were aware and outraged that it had happened. In a country with the highest prison rate on the planet, where quality legal representation is more privilege than right, Rubin Carter knew that he had left an untold number of sisters and brothers behind. He had lived the racism of the criminal justice system and he had lived among the poor and mentally ill behind bars. Following his release, he was determined to be their advocate. Carter wrote in February, as he lay dying, that he “lived in hell for the first forty-nine years, and have been in heaven for the past twenty-eight years.” For him, heaven was doing this kind of work and struggle was the secret of joy. The best possible tribute to Rubin Carter would not be to listen to some Bob Dylan or read a few obits. It would be to contact new Brooklyn District Attorney Ken Thompson—his “action line” phone number is 718-250-2340—and ask him to fulfill Hurricane’s request to reopen the case of David McCallum. After all, this was the dying wish of the Hurricane.